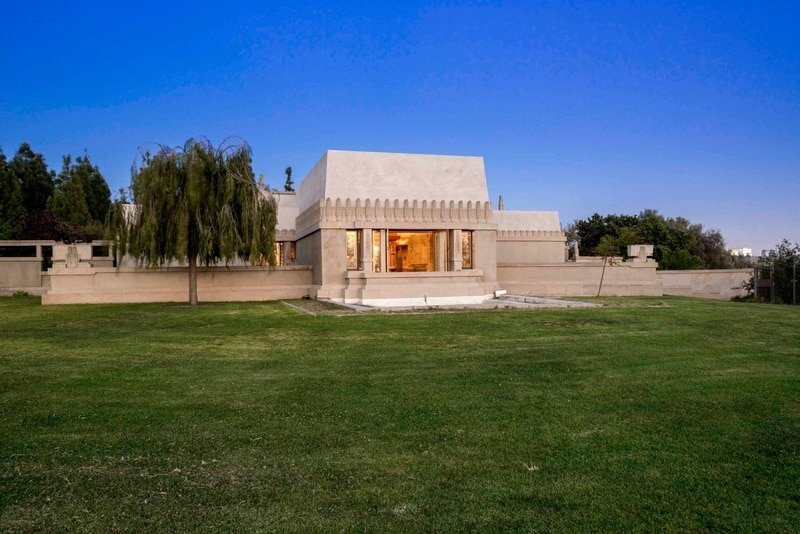 The Hollyhock House is architect Frank Lloyd Wright in full monumental mode. This is perhaps no surprise given it was his first project in Los Angeles. East Hollywood no less. 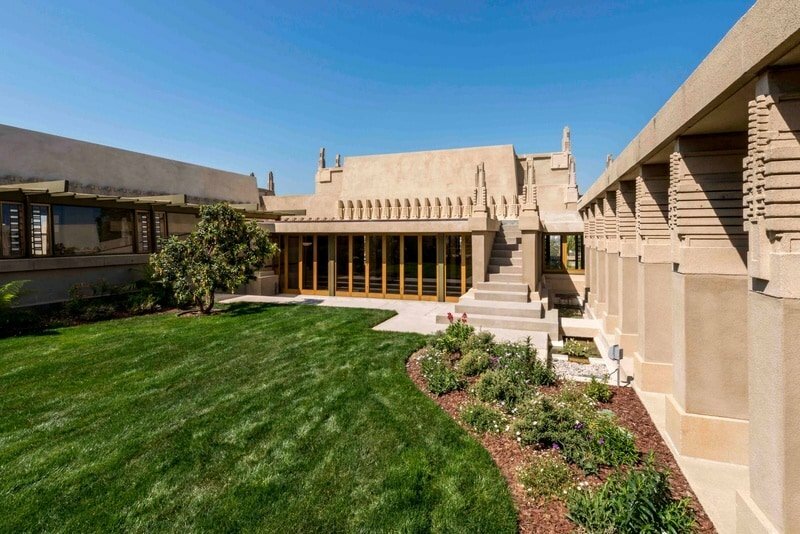 Designed by Wright for the oil heiress Aline Barnsdall and completed in 1921, Wright described his design for the house as “California Romanza”, employing a musical term that denotes “freedom to make one’s own form”. 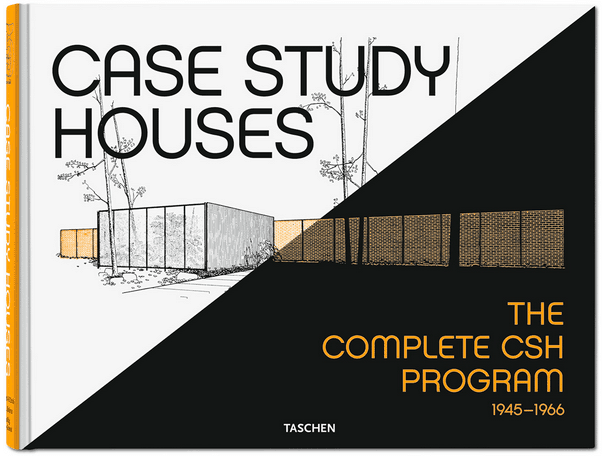 The idea underpinning this choice of term was to create an architectural style appropriate to the Southern California region. 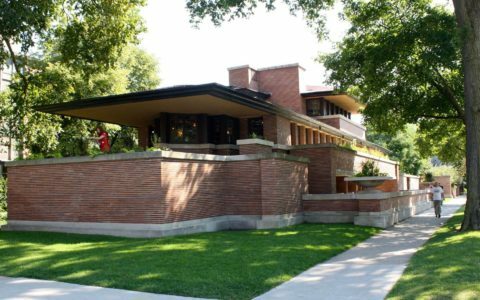 As such, the idea presages Wright’s later move to shape a specific style for the United States, the so-called Usonian style. 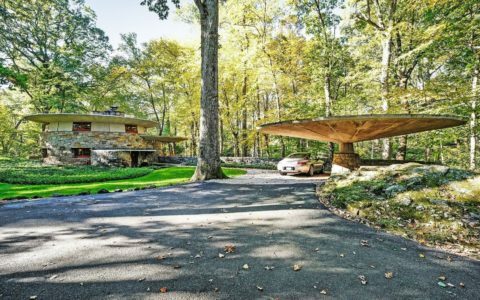 Indeed, the house is quite unlike anything that was being built contemporarily. The house gets its name from the Hollyhock, Barnsdale’s favourite flower. The rooftops of the house themselves replicate the flower in stylised form. This touch lends an ancient quality to the house, Babylonian perhaps, since it would not look too out of place in an excavation of the ancient city of Persepolis. Like an ancient palace, there is also a lovely interplay between house and gardens. 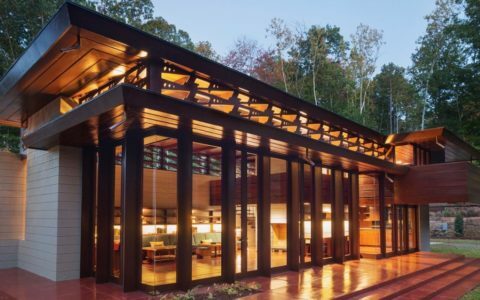 Rooftop terraces expose the house to views of the surrounding Hollywood Hills, while every interior room connects in some way to a garden space, either through porch, pergola, colonnade or glass doors. 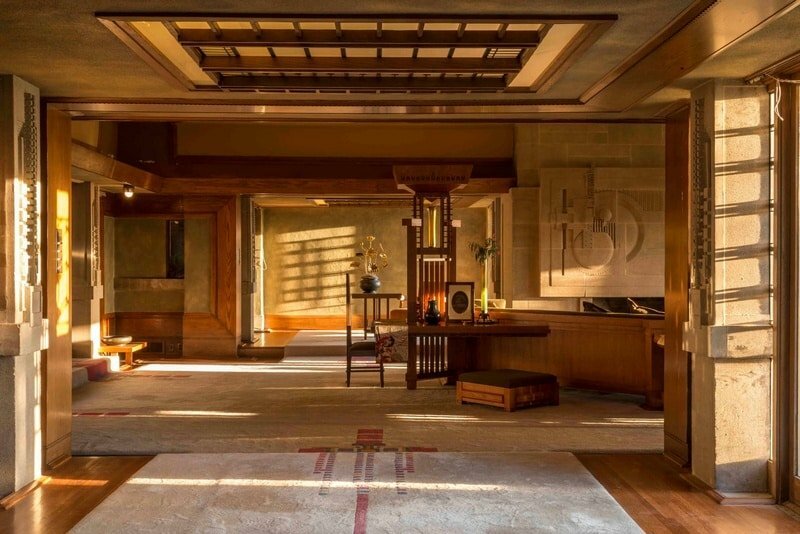 The interior of the house carries forth this archaeological quality, with sandstone abounding throughout. Carvings above the fireplace also hint at some form of ancient symbolism. Meanwhile, the exquisite throne-like chairs, surrounding a hexagonal dining table and sat atop a beautiful, almost arts and crafts-style rug, seem right out of some forgotten period of medieval history. 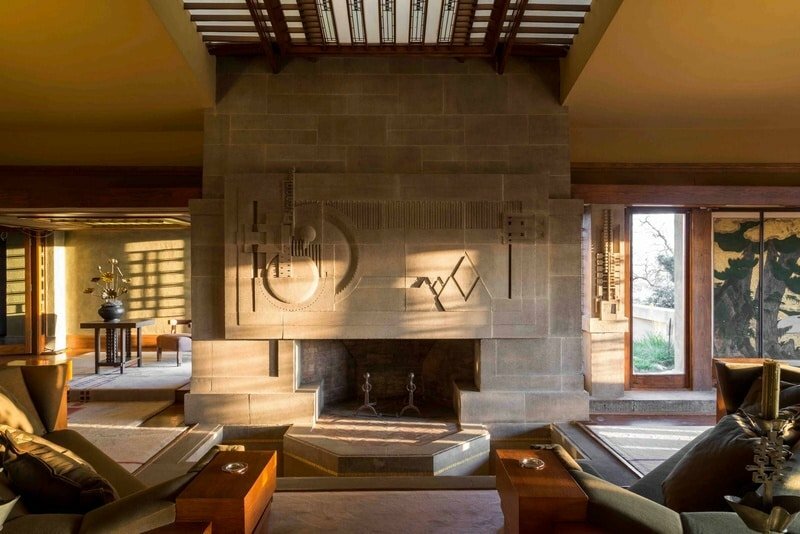 In 1927, Barnsdale donated the house to the City of Los Angeles, and it continues to fulfil one of the project’s original intentions in its function as an arts complex.